Our delegation’s exclusive program, led by Lisa Phillips, Toby Devan Lewis Director, includes visits to private collections, top galleries, artists’ studios (including those of artists who have shown at the New Museum), and museums, as well as architectural tours. We will be joined for portions of the trip by Massimiliano Gioni, Edlis Neeson Artistic Director, and Lauren Cornell, Curator & Director of Technology Initiatives. 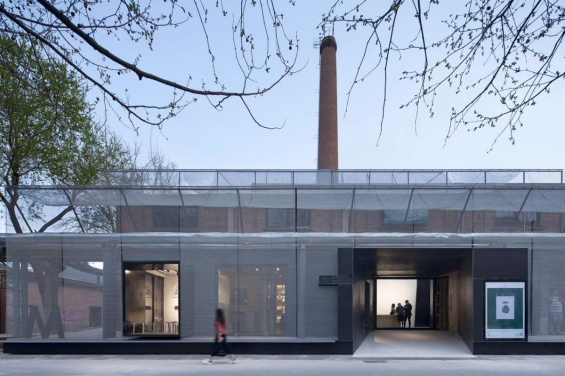 The trip will begin in Beijing, where New Museum International Leadership Council Member Michael Xufu Huang will host us at his M WOODS museum in the 798 Art District. Just outside the city, we will be hosted at Pékin Fine Arts, a gallery designed by Ai Weiwei in the up-and-coming Caochangdi Village neighborhood, where Ai has his studio. After three days in Beijing, we will travel by high-speed luxury train to Shanghai, where we will explore the West Bund cultural hub , which features several contemporary art museums built by personal collectors, including Qiao Zhibing’s new Qiao Space; Budi Tek’s YUZ Museum; Liu Yiqian and Wang Wei’s Long Museum, designed by Atelier Deshaus; and the David Chipperfield–designed Rockbund Art Museum. We also look forward to attending the opening of an exhibition organized by New Museum Curator Lauren Cornell at the K11 Art Foundation, founded by collector and New Museum partner Adrian Cheng.